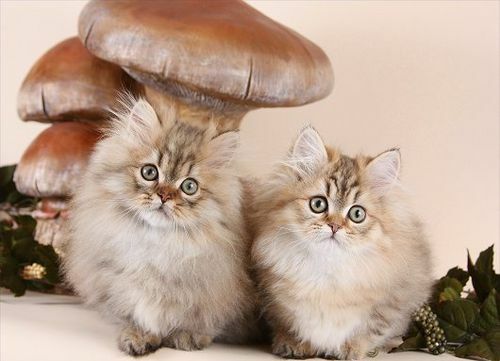 Beautiful, affectionate, hypoallergenic, colorpoint siberian kittens. Prices include registration, age appropriate immunizations, vet check and health guarantee. 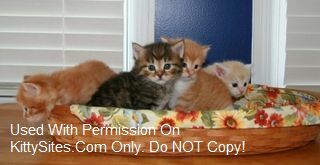 Raised in a midwestern family enviroment that is committed to healthy quality kittens that have great personalities. 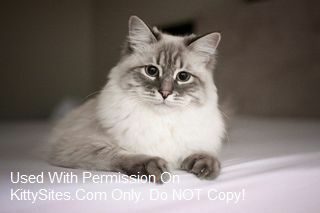 Over 10 years breeding siberian cats. Oxsana Siberian Cats is located in the Midwest. Experience the joy of owning a beautiful, affectionate Siberian kitten from Slava Siberians. We are a small cattery located near St. Louis specializing in the traditional colors of silver, brown, red, and blue, with or w/o white. Our cats come from World and International Champion lines and we actively show in CFA and TICA cat shows to be sure the quality continues in our kittens. All of our breeding cats are tested for the Fel D1 protein, an indication of hypoallergenic levels of true Siberians. Health guaranteed. We will deliver in the Midwest. Please check out our website! We breed Bengals from the best blood lines. Our Bengals are glittered and pelted. We have browns, snows, and silvers in both marbled and spotted. Raised in our home with all ages and our dog. We are a TICA registered cattery and members of three international clubs. 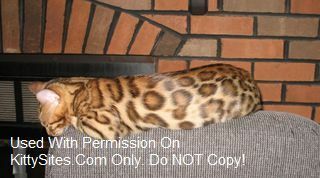 Pictures of our Bengals and some of my writings have been published in the clubs magazines. Our kittens are using the litter box and checked by our vet before they go to their loving families. Our queens and kitten are never caged or penned and have free run of our home. Have a leopard for your home! We are in Independence, MO. Home of the Dollface Persians, Himalayans, & Exotic Short Hairs since 1989. 2016 Cattery of Excellence, Better Business Bureau and State Licensed cattery. Home of Mr. Bigglesworth in Austin Powers 3!! Offering three decades of knowledgeable expertise in the elite Baby Doll Face Persian Kitten industry. While many of our kitties have worked their way into movies, commercials, and countless magazines we primarily seek out loving forever pet homes. Rated A+ with the Better Business Bureau. Check them out on our website.